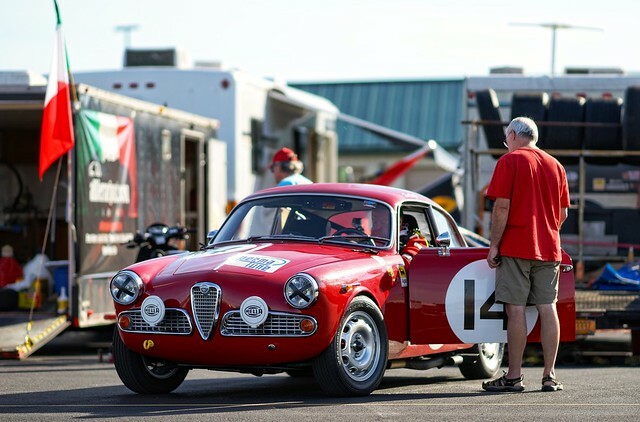 The Pittsburgh Chapter of the Alfa Romeo Owners Club is hosting the 2019 Convention named Cortile della Corsa or the Courtyard of Racing. The 2019 Alfa Romeo Owner’s Club (AROC) national convention is coming to Pittsburgh during the Grand Prix. It will be hosted by Three Rivers Alfisti, the local chapter of AROC. The theme is “Cortile della Corsa” which translates to “Courtyard of Racing” and marks the first time the national convention will honor Alfa’s racing heritage. The “Courtyard of Racing” in Pittsburgh is perhaps the most centralized of any previous convention; It’s located within 500 miles of 2/3 of the population of the North America and within 20 AROC Chapters. It all starts on Wednesday, July 17 with an afternoon parade and car show at Point State Park and the Tune-Up at Heinz Field that night and continuing with a track day at PIRC on Thursday and a concert that night. On Friday there is a Rallye, a tour, a picnic and dinner. The July 20/21 weekend events move to the PVGP’s Italian Cortile at Schenley Park. as an estimated 400 from all over North America display their Alfa’s on the golf course and watch vintage Alfas race through the streets of the city park. There are displays, car shows, a concours, banquets, even a wine tasting. Something for every Alfa Romeo fan. The 37th Annual Pittsburgh Vintage Grand Prix is the nation’s largest vintage street race. The 10-day event includes car shows, parades, a blacktie gala, a Jet Center Party and a Tune-Up event at Heinz Field. Noon – 1:30pm: Just Ducky Tours – limited to 60 people $35/person. Each boat holds 30 people. 6pm – 9pm: PVGP Tune Up Party: Limited to 40 Alfa’s $125/car/2people or $50/person without a car. Karting: Self Guided. We have a special “Virtual Race” set up for club member. You can run at any time and on Saturday at the banquet we will announce the best times. Estimated cost $5/person for virtual racing competition. * For any people who ONLY wish to participate on Sunday to park their car the fee is $65 to park on the show field.